Got my 2nd machine from this MO. Machine was delivered 22 hours after making the bank transfer. Another thumbs up. Thanks unwanted for the fast delivery for my citiz with milk + additional capsules! Thumbs up!!! Last edited by khenghai; 17-05-2012 at 10:51 PM.. 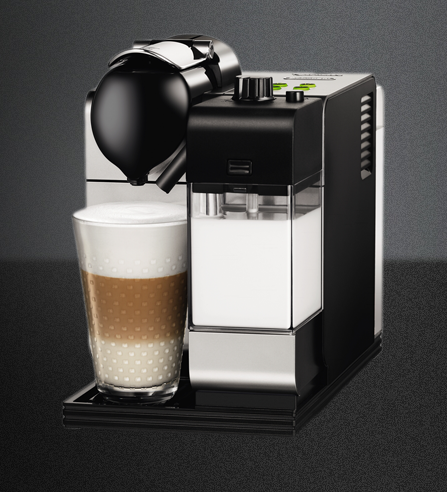 I understand that the spree for nespresso capsules are meant for buyers of MO machines. Can I still place my order if I am not the buyer of MO machine? Last edited by unwanted; 09-10-2017 at 03:08 PM..
Last edited by unwanted; 11-10-2017 at 12:53 AM.. I've been considering getting a Nespresso machine for quite some time and had been eyeing the Citiz with Milk until I saw the Lattisima +. Any advise if the Lattissima + is good / bad? FYI I'm not a heavy user (probably one cup a day) and will be drinking milk recipes 99.9% of the time. Last edited by KennyH; 21-05-2012 at 09:40 PM..
Lattissima+ now selling at 688 at taka. got 80 bucks off. today last day. The aeroccino makes better froth. Clean like a normal dish with soap and water after your entire session. After each cup. Press and hold the clean button for 10 seconds to purge excess milk. Failure to do so will choke the area and contaminate. You can put the milk container back into fridge for future use. That is the sounds easy part but that's not the end. The container has to be thoroughly dismantled and cleaned every few days. The feeding straw turns yellow over time, I'll suggest replace buy a new straw once a year. The nozzle drips milk and you have to clean the entire waste water collection tray if it does. I don't really recommend people doing this but try smelling those above mentioned areas and you will get what I mean by contamination. On first impression, the lattisma seems easier to clean, but not really imo. There's another known problem with lattisma, the latte and cappuccino frothing looks similar, more like cappuccino imo. Not as defined as from the aeroccino. Give me a choice, i'll vote for the older models. Thanks for your detail opinion. Think I'll stick to the Citiz with Milk. I popped by Taka and Tangs today and was told there will be a sale tomorrow/weekend on Nespresso machines, including Latissima+. TAKASHIMAYA - If you have a Taka Credit Card, for Latissima+ it'll be $80 off PLUS 10% off i.e. $547.20 (Original: $688). That's about $141 discount. Sale from Thurs (tomorrow) until Sunday only. TANGS - For Citi and TANGS Card members, there's a 12% Rebate Sale tomorrow only from 8am-11am. So for Latissima+, it's $80 off PLUS 12% rebate i.e. effectively paying $535. That's about $153 off. Guys, I think now's a good time to buy LATISSIMA+ if you've been eyeing one.